Harnessing the colorful commentary of the most prominent yoga scholars, teachers, and medical experts, 'Yoga Unveiled' reveals how yoga began, tells the story of yoga's passage to the West, describes its numerous branches, recounts the fascinating biographies of the foremost yoga masters, and explores yoga's astonishing medical potential. 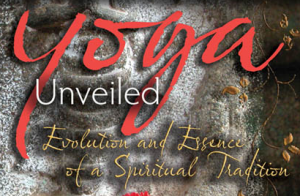 Yoga Unveiled also features commentary by Krishna Das, Dr. Herbert Benson, Edwin Bryant, Subhash Kak, Vasant Lad, Dr. Timothy McCall, Pandit Rajmani Tigunait, Father Joe Pereira, Swami Sivananda, Dr. Martina Ziska, and Dharma Mittra.
" Yoga Unveiled is a joyous, educational and uplifting experience from beginning to end. All the aspects of Yoga are harmoniously discussed herein. It is, as far as I know, the only comprehensive audio-visual production available. The renowned authorities, Eastern and Western, have given the message in a telling way. The script, production, photography, music, direction, editing - all bear a mark of high-level professional skill. It will be of immense use to students, practitioners, and teachers of this age-old and yet modern science of total development of life. I was very much impressed by the fact that the ultimate goal of Self-Realization was emphasized throughout. Starting from strengthening of the body, we are guided on to reach the finer and finer levels of our being, unfolding the potential of each and organically uniting it to the goal of life. " ~ Swami Yogatmananda, August 2008. Ramakrishna-Vivekananda Society, Providence, RI.
" Yogins and Yoginîs , this is a documentary you must not miss, and it is remarkable that it is available for only $36.99. If I had to summarize this film in one word, it would be, "Wow." Through interviews with a broad spectrum of experts, exquisite art and graphics, rarely seen archival footage, just-right music, and beautiful narration, Gita and Mukesh Desai have created a magnificent gift honoring the great tradition of Yoga. In the first two hours and fifteen minutes, while tracing the history of Yoga from its origins in India to its taking root in America, the film movingly communicates Yoga's core purpose: transformation and realization. It informs every frame of the film, and that is an extraordinary achievement. Yoga's Indic origins and its literature and philosophy are explored via beautiful visual displays and interviews with Yoga scholars and Yoga teachers in the United States and India. The final hour, titled "Yoga As Therapy," jumps straight to the present and examines Yoga's growing contribution to Western medicine. Interviewed are Herbert Benson, M.D., Bernard Clark, M.D., Jon Kabat-Zinn, Ph.D., S. V. Karandikar, M.D., Vasant Lad, B.A.M.S., M.S., Timothy McCall, M.D., Dean Ornish, M.D., Mehmet Oz, M.D., Father Joe Pereira, and Martine Ziska, M.D. 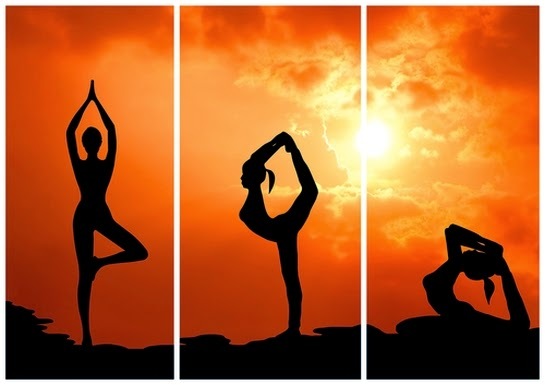 Each describes the profound positive benefits that Yoga, and in some instances Ayurveda, has brought to their patients. Regarding the recent increase in Yoga research in the West, Dr. Oz indicates that its purpose is not so much to prove that Yoga works [implying that anyone who has practiced it at any length knows that it does], but rather to translate how it works into a language mainstream physicians can understand and thereby make Yoga's benefits available to a wider audience. Jon Kabat-Zinn beautifully and accessibly explains the purpose and benefits of mindfulness meditation, pointing out that the realization of our true nature brings the ultimate healing from pain and suffering. ~ Yoga Studies - The Online Journal of IAYT, September-December 2004 Review by Trisha Lamb.